The Bijou area is a desirable area with one of its prime features being its central location within South Lake Tahoe. Bijou stretches from Ski Run Boulevard which is the main road into the Heavenly Ski resort, California lodge, West to Al Tahoe Boulevard and skirts Highway 50 near El Dorado Beach. The Bijou Golf course and meadow splits Bijou into two areas, Bijou 1 and Bijou 2. The Bijou neighborhoods provide easy access to the Lake Tahoe Community College, the Bijou Golf Course, the El Dorado County Library, Ski Run Marina, Heavenly ski resort and Regan Beach. Less than a mile from any location within Bijou you can reach the South Lake Tahoe Recreation Complex where you have access to a beautiful indoor/outdoor pool, gymnasium, weight room, outdoor volleyball, basketball courts and a picnic area. No surprise that The Bijou Community Park is in Bijou and will complete your desire for close at hand family fun needs with disc golf, BMX and Skate Park, the dog park, and a very nice picnic area for family get-togethers. Wow, so much to do in this neighborhood! There are approximately twelve hundred homes total in the Bijou 1 and 2 neighborhoods. The home styles, size and age vary as the area has seen building and development at a relatively steady pace over the past 60 years. Bijou is one of the original neighborhoods in South Lake Tahoe and within Bijou is a little sub-neighborhood, Bijou Pines, where rustic “Tahoe cabins” exude that “Old Style Tahoe” charm and our second home cabin buyers love this part of Bijou and if a cabin is not readily available, are often willing to wait for one of the cabins in Bijou Pines to come on the market. Throughout Bijou you will also find some newer homes that often offer larger floor plans, modern convenience and custom upgrades. 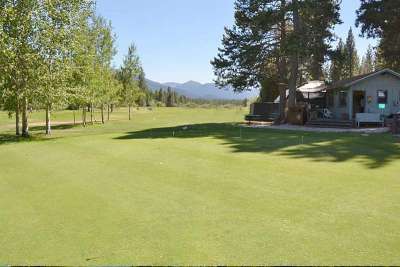 Some of the properties in the area have views of the mountains and or the beautiful meadow that runs from Pioneer Trail transitioning into the Bijou Golf course. Permanent resident homeowners enjoy the ease of living in town and vacation home owners love the close proximity to the downtown village, casinos and Heavenly Ski Resort. We have found the Bijou neighborhoods very appealing to our client’s choosing to live year round at the lake or searching for their dream vacation home in South Lake Tahoe.